don't know what the thinking was, but it makes you look. I'll chuck my twopenneth in. Entry in my 1942 Kelly's Directory. 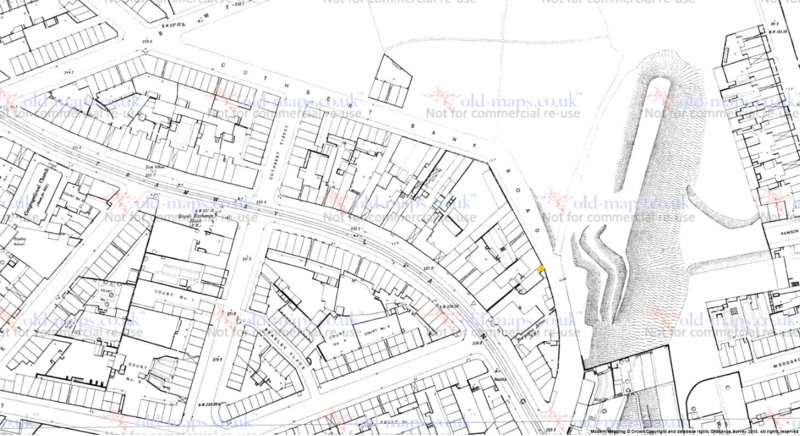 I knew the area in the 50' and 60's but can't remember that being there (doesn't mean it wasn't mind) even though it was at the top of High House Road which now seems to have vanished.,. 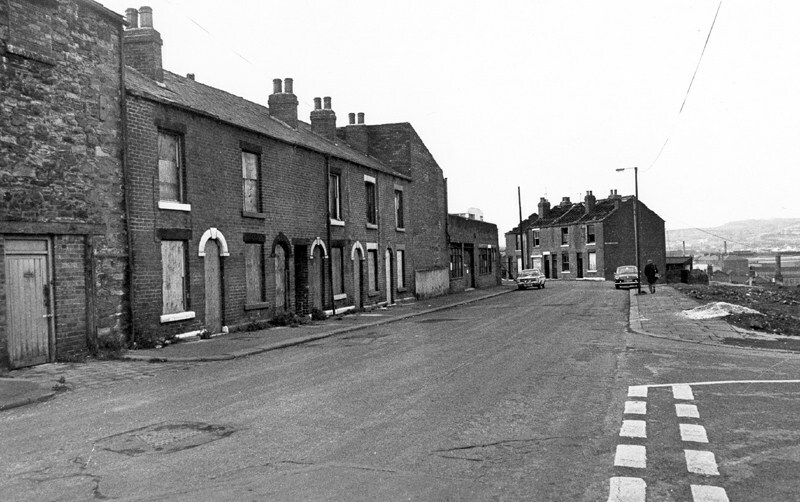 I have so far failed to find an early picture but the Picture Sheffield image below shows the building to the right of it with the archway was still there in 1979. Both are shown on the maps of 1905 and 1950's. 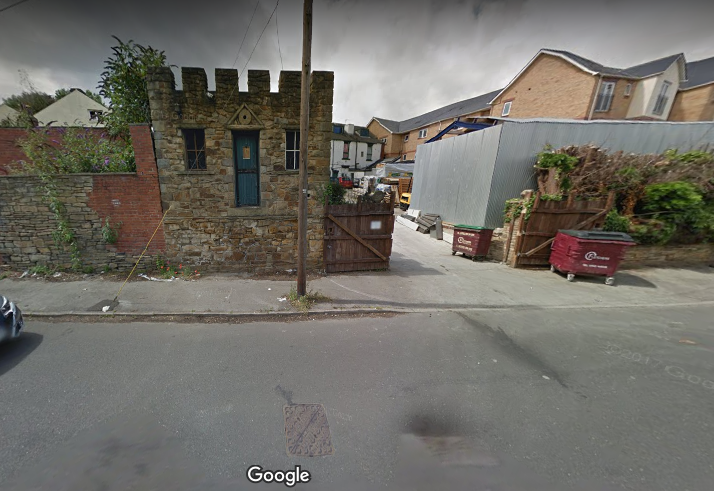 The drain cover can still be seen on the modern Google image, I wonder if it was cut down to that castellated building when the building with the archway was demolished. I've found a large scale OS map dated 1974/79 on old-maps.co.uk which is copyright 'so I can't post it on here. 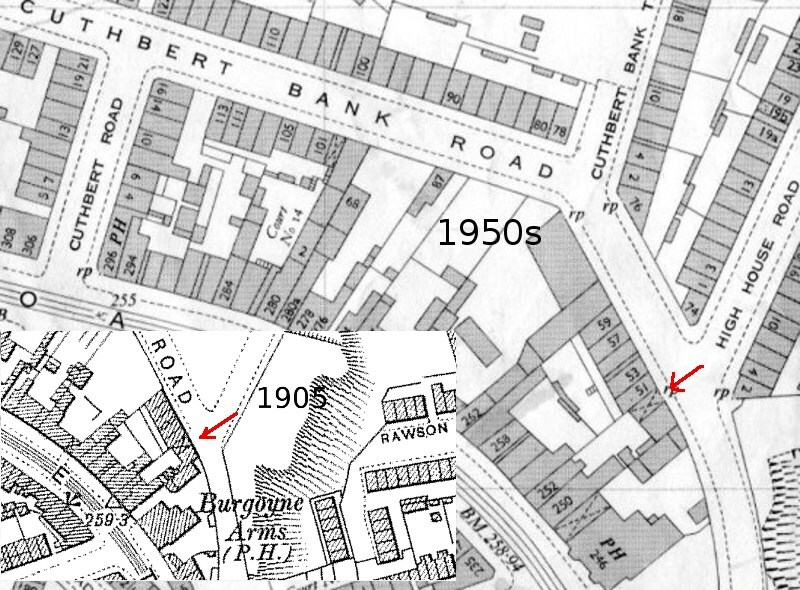 It shows that the entire plot from the first of the terraced houses, No59, until the boundary with out-buildings at the bottom of the Burgoyne Arms pub yard, has been cleared. This includes the site of our mystery building. It looks as though the present buiding was rebuilt, possibly using some of the demolition rubble from the archway building. It looks as though Neddy was right with his 2007 post. That sounds about right hilldweller , it certainly looks like it was cobbled together with spare bits, that door which looks like it is on a a level for loading but also looks like a stable door and very narrow, so not suitable for loading. Also it looks like that telegraph pole and anchor cable has been there for a long time so not possible to run up to the door. 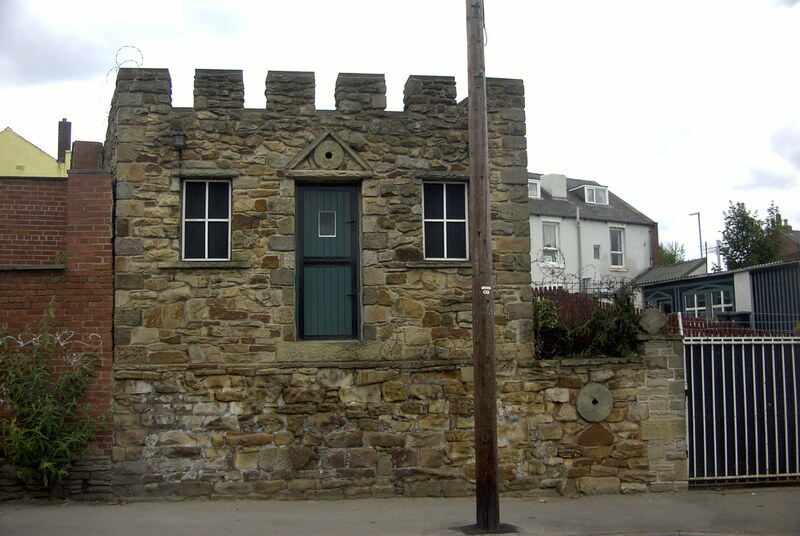 That would also explain why I didn't remember such an unusual building, though I was still in Sheffield in the 70's I would not, at that time, ever had reason to come up High House Road, my memories are mostly when all the houses were there. I did find this aerial image on Picture Sheffield of 1973 but it is not clear enough to help much.